Click "more details" to book online! Pre-flight bubbly aboard United PS flight in First. The Seat: I’m normally a little whiny about “lie flat” seats that don’t actually “lie flat”. But for a 5-ish hour transcon flight this one aboard a United 757 is just fine. In fact, I prefer this seat and class of service above any currently offered between New York and LA or San Francisco. United offers Premium Service (“PS”) on specially configured Boeing 757-200s in a 3 class service (First, Business and Economy Plus) between these markets only. Despite not reaching a full 180 degree recline, the seat gets pretty close. If you’re just trying to catch a few winks before pitching your awesome cats in space themed sci-fi script in LA, this should work without gravity pulling you into the bulkhead wall while you’re passed out. There’s elbow room enough for even the widest, most muscular gorilla juicehead and legroom for 1 stretched out LeBron James. I’m also a big fan of where the power port is too. It’s easy to plug in the laptop or phone charger right between the seats above the armrests and under the reading light…not hidden deep beneath the seats amongst the dusty life vests and the scent of a million soda spills. Service: Our flight attendant was phenomenally appropriate for a product called “Premium Service”. 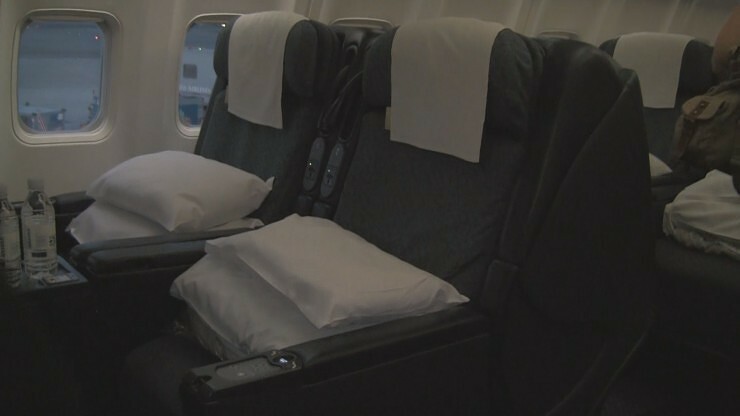 The entire first cabin holds only 12 seats so attention is easy to come by if you need constant coffee refills or are on an in-flight booze bender. Notes: It probably doesn’t matter much, but the C/D bulkhead seats lack the extra cutout in the bulkhead wall (as the A/B seats have). Summary: With legacy airlines (and Virgin America) working to win over bi-coasters willing to pony up for little luxury, I think United is a big winner here. While PS Business class competes with the top offering of it’s competitors, PS First is the only game in town(s) for a relative top-level flight experience. Sure, it wouldn’t compete nearly as well overseas, but shines as a domestic choice. Strategy: You may find that booking a PS transcon flight using miles of a partner airline can save you a few miles. At the time we booked we found the best mile redemption deal using US Airways Dividend Miles at 50K miles round trip in First. US Airways award chart doesn’t differentiate between domestic first and business class so both classes are offered at the same level. While miles might be better applied toward bigger overseas itineraries, this isn’t the worst domestic mileage deal out there. Oh I’m a nerd too. I flew from DC to Beijing on United, and spent a lot of my time listening to the ATC haha. May I ask what time the flight was? Just out of curiosity. This was a relatively late flight…Left JFK at around 8:30 east. What aircraft does United use to Beijing? Hopefully not one of their painfully unequipped 747s. 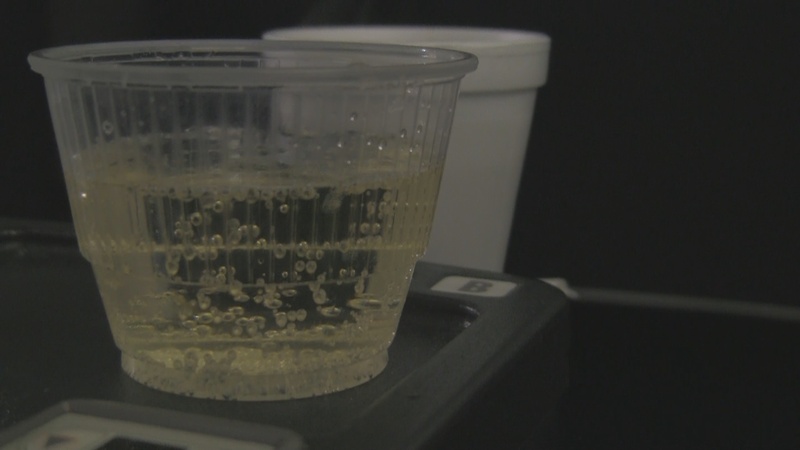 Champagne in a plastic cup… guess I’m too spoiled for American domestic flights? Oh I never saw you reply to my comment Jake. My bad. Anyway fortunately it was a United 777-200. Was sitting in seat 3A of the first class cabin. Phenomenal service for an American based airline. Friendly crew, full reclinable to a lay flat bed seat, and decent food. Wasn’t too bad. Excellent. I returned from Japan on a United (former Continental) 777-200 in economy a few months ago. Great aircraft, awful to just-slightly-less-than-awful service. What a difference being up front makes, eh?